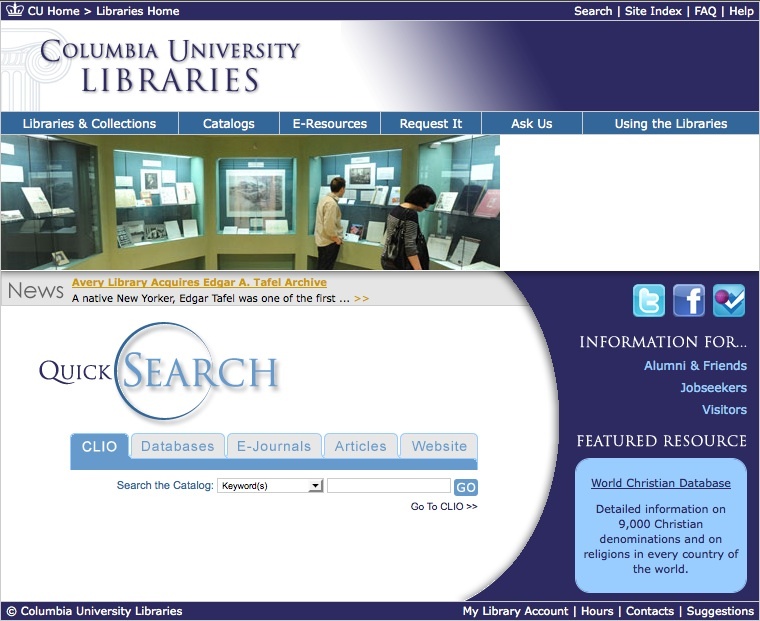 Covering dozens of libraries, catalogs, collections hosted at NYC’s Columbia University (over 10 million volumes, 100,000 current jouand many more different items), the CUL website provides detailed info about use and access, e-journal abstracts, full-text papers, database listings and more. Covering any possible topics in the academic world and managed by a professional staff, this website makes a great use of innovative technologies and sophisticated features. Digital resources and archives, several library catalogues, abstracts of more than 9,000 dissertations, webresources lists ordered by type and nature, are the main sections of the Columbia’s Libraries and its website. A library account (with online login) is required to access parts of online databases and resources, while some content is open to the public with plenty of pdf files for downloading. Access to the actual libraries is free to students and faculty, and partially also for relatives, alumni, and local residents. The CUL advanced search options can easily be limited to a specific section (main library catalogue, databases, e-journal, website) or used as a cross-search facility. The search page is also available in a text-only version. A consistent outline helps to navigate successfully in a sometime overwhelming quantity of different materials.